Once again I am delighted to share with you the generosity of a couple starting their lives together and express their joy by making a Big Impact on the community where their wedding took place. Generosity and concern for others is an incredible way to start a union. It affirms the values you will share for a lifetime. 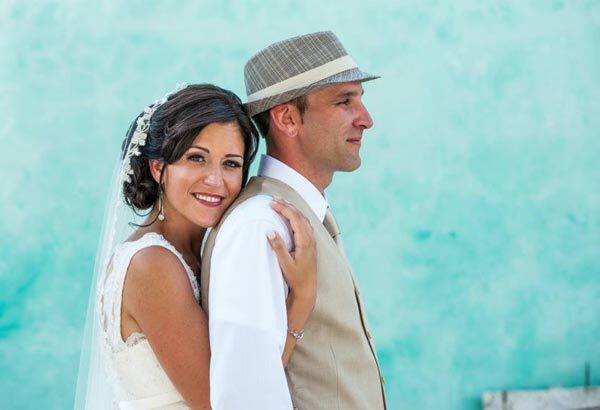 Pack for a Purpose congratulates you Lisa and Jay on your marriage and your commitment to others. My fiancé Jay and I were planning a destination wedding in Punta Cana for the summer of 2012 when my mother-in-law to be read an article in Oprah magazine about Pack for a Purpose. Together with my wonderful bridal party, they decided to surprise me and use my bridal shower wishing well to gather school supplies for the students in Punta Cana. 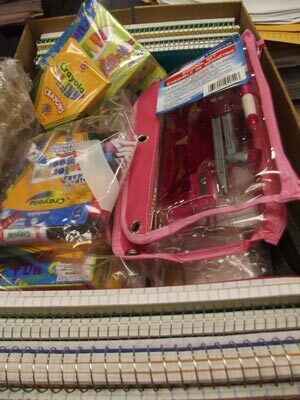 This was a great idea, as I am currently a special education teacher that comes from a family of teachers, all of whom were incredibly generous with their donations of school supplies. With the generous donations from my shower, we were able to deliver 60 pounds of pencils, notebooks, protractors, calculators, crayons and more. It was so heartwarming to see my family and friends support this project from the beginning. I am especially grateful to my bridal party for gifting me the opportunity to be a part of such an important project during my amazing wedding week.